The Oneida County Clinic offers DOT Exams. 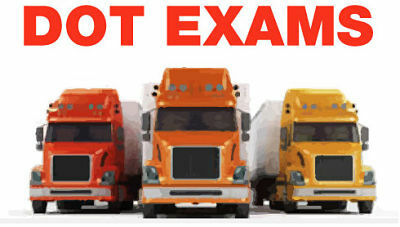 The purpose of a DOT exam is to determine if a driver is medically fit to perform the duties and operations of his/her job. 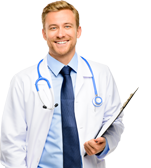 Medical histories and medications are reviewed and a complete physical exam is performed. (DOT Requirement 49 CFR 391.41-49). During a DOT exam the examiner cannot treat any found conditions or prescribe routine or emergency medications. Patients who are diabetic must have had recent lab work and bring a copy of their HGBA1C to the appointment . They must also have a documented diabetic eye exam prior to being cleared to drive. (391.41 (b) (3)). All drivers must bring a copy of their medications and health problems with them to the exam. If they wear glasses to drive those glasses must be present with them (391.41). Depending on chronic health problems, other testing and recommendations may be made prior to receiving your DOT card. You need to plan ahead and schedule your exam at least one month prior to your license renewal. Please call (208) 766-2600 to schedule your appointment.